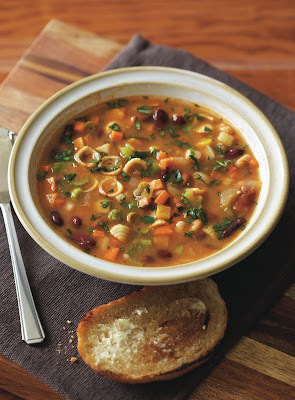 Add this tasty budget meal to your meal planner. 1. Melt a knob of the butter in a medium pan. Add the pearl barley, stir to coat in the butter, then cook gently for two to three minutes. 2. Dissolve the stock cube in 600ml hot water, and then pour over the pearl barley. 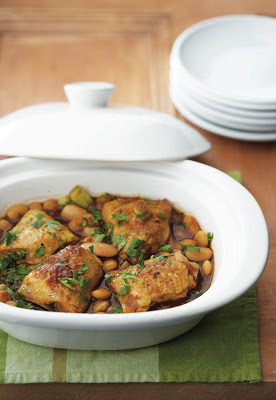 Simmer over a medium heat for 25-30 minutes until tender. Keep topping it up with hot water, ensuring the barley is covered. 3. When cooked, remove from the heat, taste and season. Add the frozen peas, and then set aside with a lid on for about 10 minutes. 4. Meanwhile, melt the remaining butter in a frying pan add the mushrooms and fry for five to ten minutes until golden brown. Season. 5. 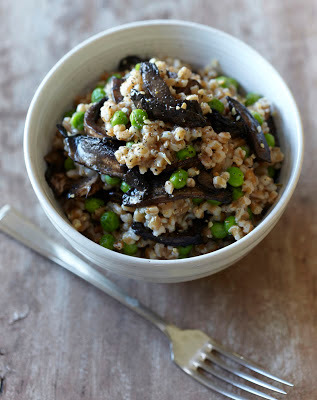 To serve, combine the pearl barley and peas with the mushrooms, herbs and cheese. Adjust the seasoning to taste and spoon into bowls.